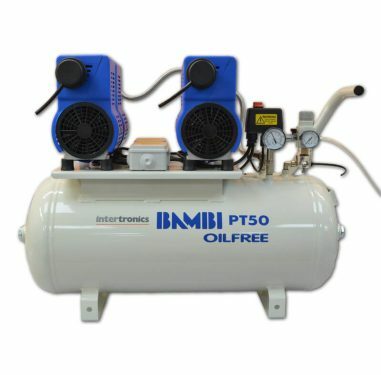 Air compressors create the compressed air required by many dispensing systems. They are also useful for other applications, including airbrushing and stapling. Bambi air compressors offer a “silent” running, low cost system for producing compressed air for industrial applications.